Balmy summer nights are beckoning but you can enjoy a taste of the Med right here on your doorstep as James Driver-Fisher discovers. . . Whether it was the warm sunny Sunday afternoon, the party in full swing all around us or simply the layout of the quaint and rustic-looking restaurant we were sat in. . .
Whatever it was, we all felt like we had been whisked off to the shores of the Mediterranean. 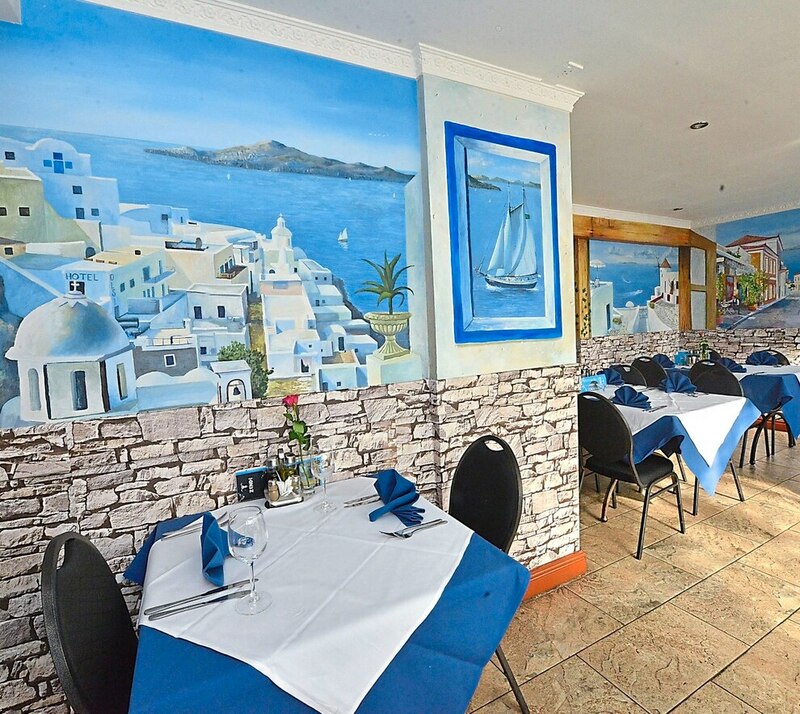 We were in fact in a lovely little Greek restaurant, in the middle of Kingswinford, but with the beautifully decorated walls and cafe-style layout, you could forget that we were about as far away from the sea as you could possibly get in the UK. 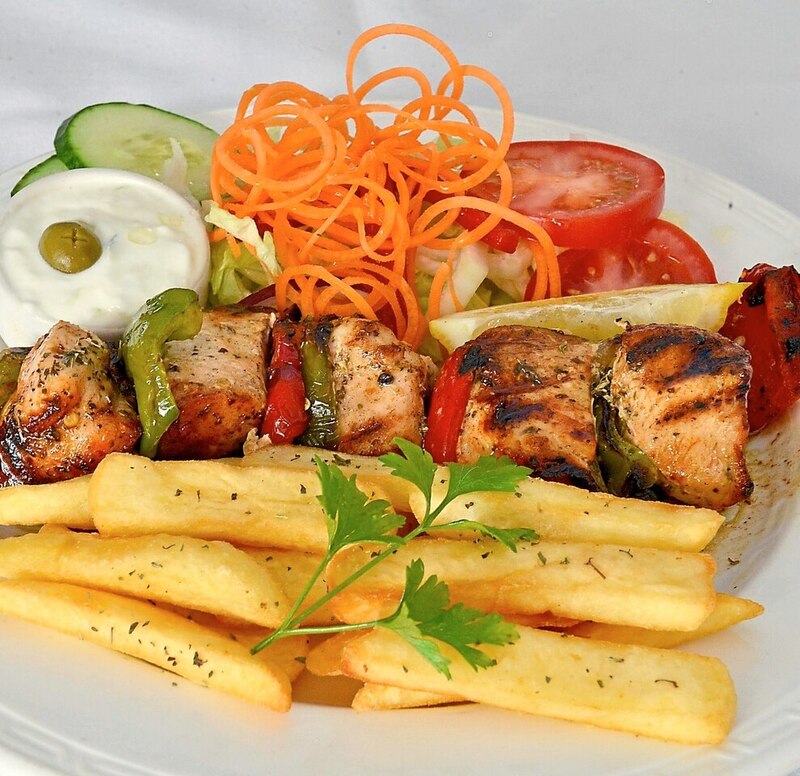 We had driven passed Zendi, in High Street, on numerous occasions and felt it was time to give the place a go. And having never eaten at a Greek restaurant – and having looked at the menu online and realised the food appeared to tick pretty much all the boxes of ingredients we love – we were really looking forward to the experience. What we hadn’t planned on was arriving in the middle of a celebration, with scores of happy people celebrating the birth of a newborn baby. We had established what was going on after asking the manager, who immediately warned us, repeatedly offered to turn the music down and made sure we had a waitress tending to our every need. For us, however, the celebrations just added to the lovely atmosphere and we were more than happy to soak it all up while being given time to look at the menus. My wife, Kelly, had already taken a quick glance online to see what was on offer, but a little warning is needed here – they are not exactly the same, so she was a little disappointed to find the swordfish was no longer on offer. But there was still plenty to choose from, so not too much of a disappointment. Before the meals, drinks were ordered. My two-year-old daughter, Annabelle, had a simple blackcurrant squash while we decided to share a bottle of wine. Having never tried Greek wine either – I’ve lived a sheltered life, I know – we both agreed to try one and opted for Apelia dry red, a Greek choice made in a ‘modern style with no wood, coming with plummy and spicy notes’, according to the tasting notes. Far from being a wine expert, I would suggest it was somewhere between a Rioja and a Shiraz. It was very easy to drink but also quite light too and went down a treat on its own and with the meals. When the time came to order our food I was again left with a dilemma. What to choose when everything looked and smelt so good. Zendi’s chefs prides themselves on hand-picking their ingredients, which are delivered fresh, daily, to give customers ‘a truly refreshing taste of Greece’. Not knowing how big the portions would be – but knowing we were all very hungry – we ordered a starter each, which we shared. First was the tzatziki, a famous Greek dip made with yoghurt, shredded cucumber, garlic and mint. It is one of my wife’s favourites, plus Annabelle likes anything with yoghurt in it, and it came served with warm flat breads. Anyone who has tried the dish will know what to expect, and the dip was tangy and nicely flavoured – and there was certainly plenty of it. Vegetarian dolmades, or yalantzi, was my preferred choice, which were vine leaves stuffed with rice, herbs, vegetable oil and onions, served with a tomato sauce. It was delicious, with the filling falling out of the leaves as you cut into it. It was a nice amount too and the sauce complemented the rice and herbs superbly. My wife opted for the Snack of Crete, which was grilled crusty bread rubbed with fresh garlic, served with tomatoes, spring onions, feta cheese, oregano and a dash of olive oil. It was bit like an open-sandwich, or even a posh style cheese on toast, with a lovely Mediterranean twist. A knife and fork had to be used, such was the size, but it all worked really nicely together. The feta, olives and tomatoes provided a lovely tangy flavour, while the bread provided the crunch, as well as soaking up the olive oil. There was plenty to go round, possibly too much for two adults and a child, but it was wonderful way to start the meal. Fortunately we were given enough time to let our starters go down while enjoying some more of the wine and atmosphere, which by now had extended to older members of the party – all drinking just water – forming a circle and dancing the afternoon away. When the very helpful waitress returned, we were ready to order our mains, which was a huge dilemma as about 10 different dishes jumped off the page. 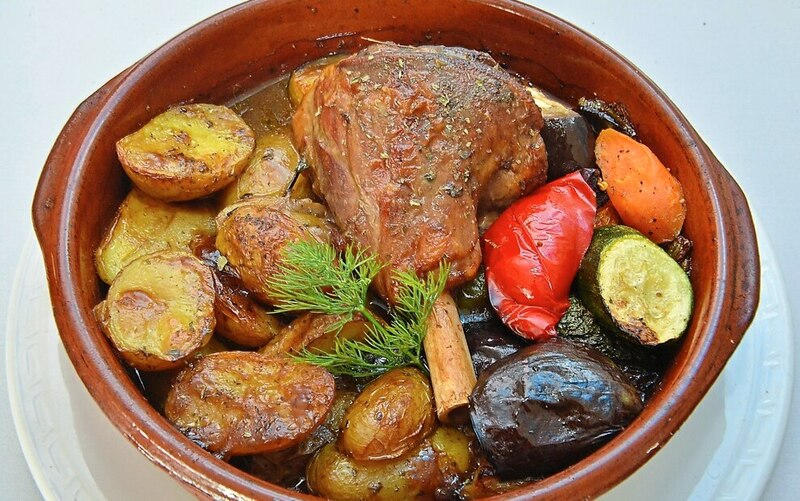 But after deciding to try and eat and drink traditional dishes, I went for the classic kleftiko, which was a fresh leg of lamb on the bone, braised slowly in an oven with fresh vegetables, herbs and red wine until tender. It was fantastic and, I would guess, all cooked together slowly in the same pot, which ensured the root vegetables and potatoes, which were all served in the same bowl, absorbed all the lamb’s glorious flavour. It was a whole leg of lamb too, so again it was an ample portion. The tender meat just fell off the bone and, when lapped up with the sauce, it was just a really wholesome meal. There was a fair bit of fat, which is to be expected for a slow-roasted lamb dish, so it might not be right for those who don’t favour this. 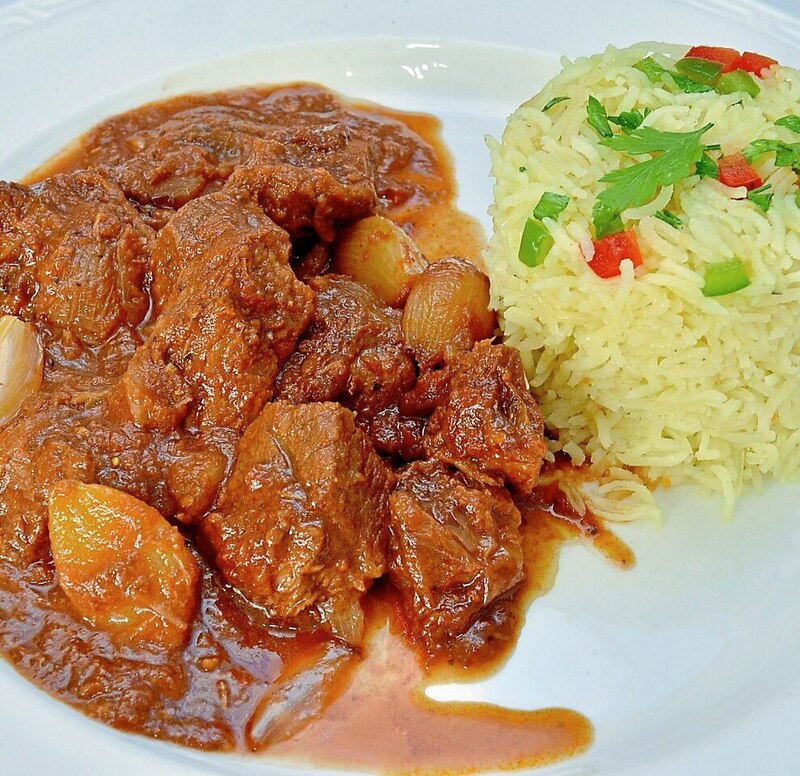 Kelly decided on the stifado, lean cubes of beef and baby onions, cooked in a casserole and herbs until tender, served with rice or French fries. She went for rice and, having pinched a few mouthfuls, I can safely say it oozed flavour, particularly the sauce, which was rich and full of herbs. The beef itself was also extremely tender and melted in the mouth. Lapped up with some of the rice, I would’ve been equally happily to have ordered the meal myself. There isn’t a children’s menu as such, instead the restaurant makes recommendations and brings out smaller versions of the main meals on offer. If your child is picky about their food, it may be a problem. Luckily, Annabelle eats most things and she decided on ‘pasta’, which on this occasion was keftedes spaghetti, or beef meatballs, pepper and onions in a tomato sauce. The taste was amazing and again had plenty of herbs and spices. For some little ones, that may prove a sticking point, but Annabelle lapped it up – well, most of it, which left a little for me. The meatballs had also been cooked in Zendi’s own unique way, with more of those herbs, and the whole dish was very nice. Finally, it was time for the dessert. We were all pretty full so we decided to share one – and it was a great decision. 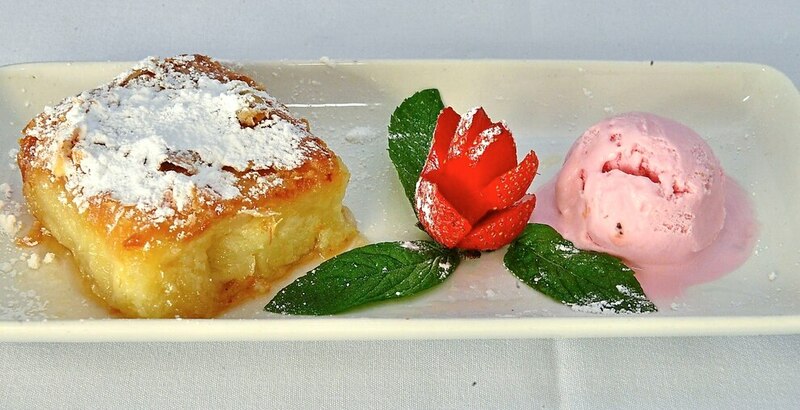 We settled on the Zendi Galaktoboureko, a divine combination of creamy custard and flaky filo dough, baked to golden perfection and then drenched with a lemon and orange-infused syrup. Served warm with ice cream, it was one of the best puddings I had tasted in a long time. We’re not huge dessert fans but after breaking through the pastry, into the dough there was a combination of crispy and soft textures, all wrapped up in a cinnamon and citrus flavoured filling, and finally the cold hit of ice cream, it was the perfect way to end the afternoon. 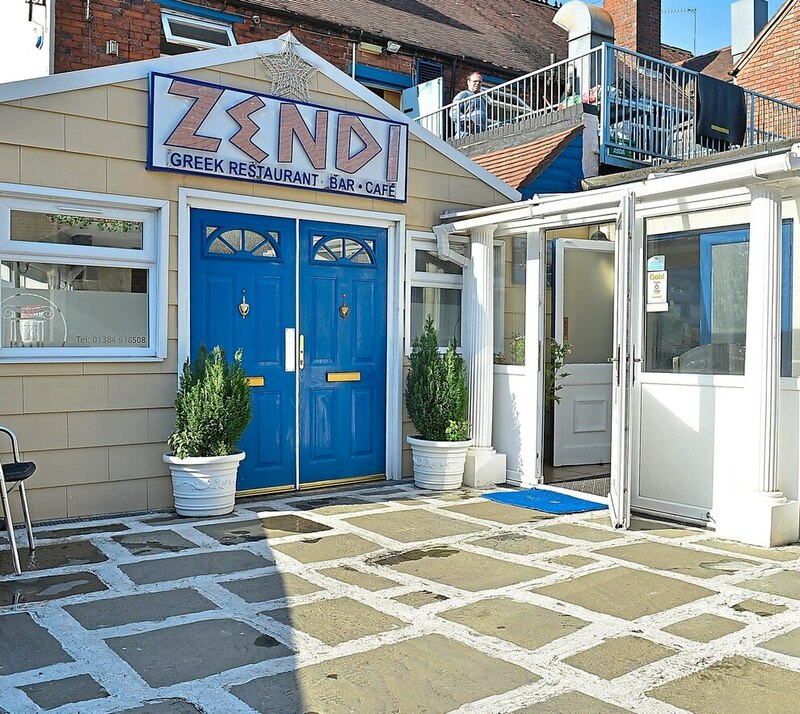 So, if you fancy being whisked away to the sights, sounds and flavours of Greece, without leaving the comfort of the Black Country, I’d certainly recommend giving Zendi a try.